Call for realistic election expenditure as voting for India’s richest civic body takes place on Tuesday. Demonetisation was a factor as candidates in the fray for the Mumbai civic polls wooed people. Though the election commission doubled the expenditure limits from Rs 5 lakh to Rs 10 lakh, some candidates found the going hard as there was a weekly withdrawal limit of Rs 24,000. He says that major poll expenses go towards printing and paying the ‘karyakartas’ (party workers). Recalling her own election campaign 20 years back, former Mumbai mayor, Nirmala Sawant Prabhavalkar says she could complete the entire campaign between Rs 38,000 to 40,000. She however feels that the cash withdrawal limit of Rs 24,000 from banks has definitely led to a subdued campaign as a candidate has to meet expenses. A BSES official on electoral duty on condition of anonymity said that due to cap in cash limit withdrawal of Rs 24,000 per week from banks, candidates took loans for poll campaigns. For instance, expenses incurred on tea and snacks, cheque payments are not possible. Those candidates from big parties take credit and make payments later. It is the smaller parties and independent candidates who found it difficult. 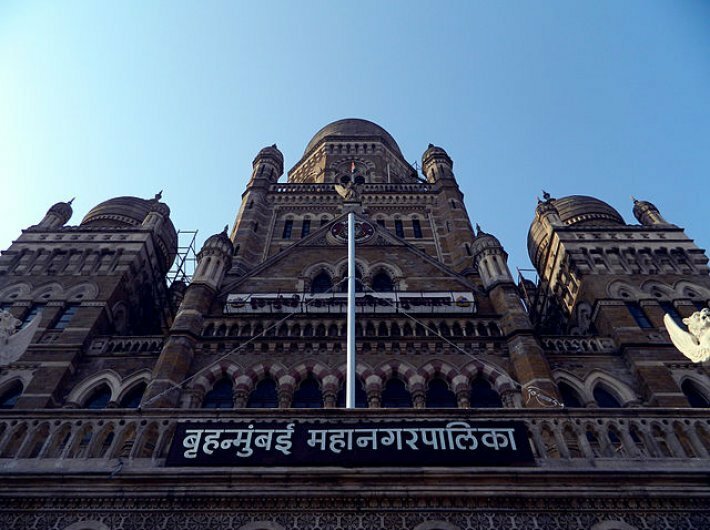 BMC has published a rate list of propaganda material from a pin to banners to sound systems and money required to pay BMC rents and permissions for holding rallies as well as conducting meetings and putting up banners. Political analyst Prakash Bal Joshi too says that due to demonetization money has gone back to the banks and for that reason very few candidates have hard cash on hand so they have been finding ways to deal with that. Neela Satyanarayan, former first woman election commissioner of Maharashtra, came down heavily on political parties putting up hoardings and banners across city despite court order. She says, “Despite court order on hoardings, you see them all over the city. No one follows court orders.” Joshi adds that though noise rules contributed to a subdued campaign in some parts of the city, but in slums vehicles with loudspeakers and banners were used for campaigning.